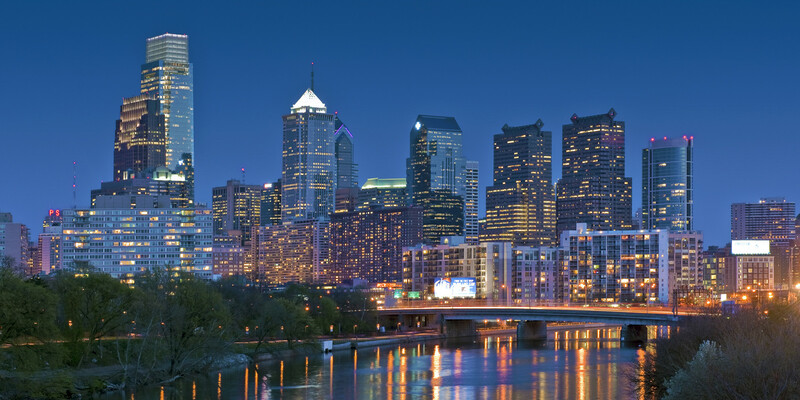 Philadelphia is known as the City of Brotherly Love. The people I met during a short stopover lived up to the title—friendly and open to sharing their stories. It’s amazing what you can learn in a short city visit if you’re willing to ask and listen. In the morning while taking a bus into the heart of Philadelphia I was the only passenger. This wasn’t a city bus, rather one of the chartered versions that get hired for events, conferences, and groups. Having the bus to myself seemed like an opportunity to chat, which the driver was happy to do. She’d driven for over 16 years, based in different states. I was intrigued. For someone who’s seen much of the country, driving passengers from many different walks of life, I wondered at the stories she could share. So I asked. She chuckled. She had drug dealers, murderers, and other criminals. One time during a required rest stop, police were waiting with drug sniffing dogs. The animals sniffed out drugs in a bike that was chopped up and stuffed with drugs in the tires and frame. The drug carrier had residue all over him. When asked if given a choice as a passenger–drug dealer or intoxicated businessperson–which would she want on the bus? Without hesitation, she chose the drug dealer. “He won’t make no trouble. He keeps to himself, not wanting attention.” Made perfect sense. One cabbie who took me from the downtown area back to my hotel had much to say about education funding. He felt the burden of ever increasing taxes to support the public schools. He wondered why he should pay for a system, that in his opinion showed no progress or success. When I suggested that some of the corporate entities in the city were most likely paying few taxes, he fiercely defended the tax breaks that corporations like the Philadelphia Eagles and other corporations received because they created jobs. Without those breaks, the corporations might threaten to leave the city, taking their jobs with them, to settle in another city that would be happy to offer the tax break incentives. If he’s correct, it’s an unfortunate vicious cycle. Those with the most income pay less taxes to develop their future employees and entrepreneurs, while the majority with less income carry the heaviest burden. Yet the very person who suffers is willing to pay the burdensome taxes so that corporate CEOs can keep their multimillion dollar bonuses from the tax savings they extract from the city. During the second night, while returning to the hotel, I rode with a cabbie who was at the end of his shift. He was an articulate individual with strong opinions. I found this to be the case with most of the cab drivers during my trip. Who did not use their turn signal or use it appropriately. Driving fast in a downpour, causing potential accidents. Drivers who do not follow the traffic signs. Slowing down to gawk at accidents rather than drive on by. I must admit I share his pet peeves. There was an accident of 3-4 cars on the highway. Police lights everywhere. Looked like the cars had lost control, creating an accident. As traffic merged into his lane, the cabbie would not allow a car to pull in front of him in the lane. He held his lane all the way through. He held strongly to the idea that professional sports are controlled by the gambling industry. The New England Patriots’ win over the Seattle Seahawks was an example of sports rigging to meet the spread. He rejected the idea that perhaps the final play of the Seahawks offence was just a very bad decision. While visiting this school for a professional growth meeting, it was interesting to see what one school sought to achieve. Being summer time, without children around, it’s hard to gauge a school’s progress, yet there were many interesting signs. The teachers spoke of the students fondly as involved in their learning community. The school-wide norms were professional and inclusive of students as partners with the adults for culture building. It’s refreshing to be in an inner-city school where staff are eager to continue their work with students, and to grow their own capacity to meet needs and challenge students to achieve higher. Philadelphians are passionate. I hope to return and experience more. Your entry demonstrates that ideas for writing are everywhere and opinions of everyone we meet along our journey are potential quotes and story beginnings. Your comments from the cab driver made me recall this Moth Radio Hour episode. Enjoy Sam Dingman’s Rhapsody on the Grand Central Parkway and be glad you were not in his cab. –Sports fans are passionate. Rabid. Vicious. You must fight for the Eagles (football), Flyers (hockey) or 76ers (basketball), else beware. Phillies fans (baseball) are more understated. –Education is a struggle, a bad rap for inner-city schools. Next time, you must find out if you’re a Geno’s or a Pat’s guy. You will be judged on your opinion. You think sports fans are passionate…don’t mess with a city’s cheesesteak. Interesting stories in three different categories. I enjoyed to read it. I’m usually not one to pick up a conversation with a stranger. As you shared your interactions with those you encountered, it made me think how lonely it would be to drive as a profession, and wouldn’t said driver feel pleased to be asked all the questions you did. Really enjoyed the short snapshots the drivers chose to share plus their views on the subjects that were brought up. Refreshing. Intriguing story. Interesting people. You made them come alive. Fascinating.